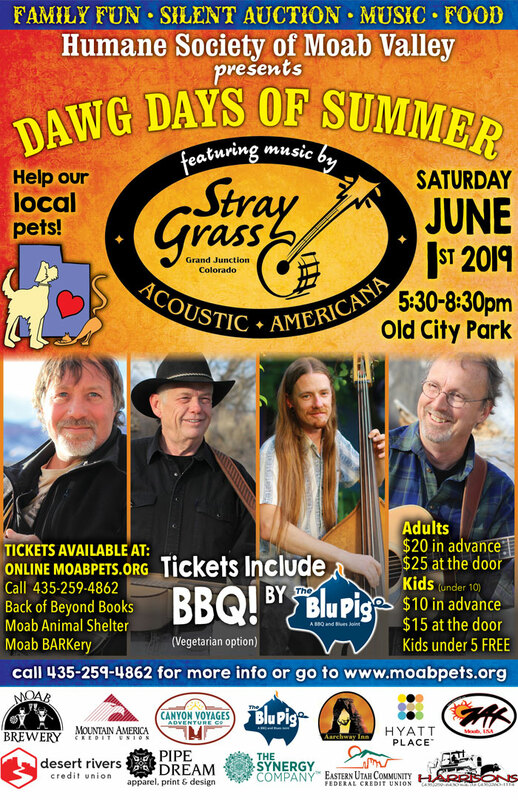 Dawg Days of Summer BBQ, Concert and Silent Auction Fundraiser – Relax and enjoy the tunes of Stray Grass, Colorado Folk and Americana style music, while treating your taste buds to delicious backyard BBQ catered and donated by the Blu Pig. You won’t want to resist bidding on the many luxury gift items at our silent auction! Tickets are $20 in advance for adults and $25 at the door $10 for kids in advance $15 at the door. And Special Thanks to all of our generous auction donors!